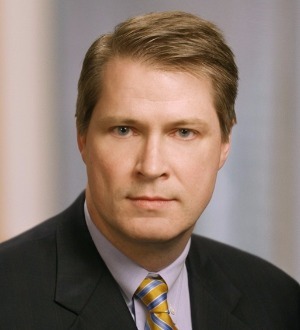 James R. Carroll heads the litigation practice of Skadden’s Boston office. Mr. Carroll has broad experience — including jury trial experience — in consumer products, insurance, subprime-related issues and securities class action defense, as well as a broad array of complex civil litigations. Mr. Carroll is handling a number of purported class actions for major national life insurers and is defending a variety of purported class and individual actions in the life, disability and casualty insurance contexts. He won an appeal for one of the nation’s largest mutual fund complexes that reversed a lower court’s refusal to dismiss three putative class actions involving allegations of improper mutual fund “market timing” activities. Mr. Carroll also is representing investment advisers in regulatory inquiries and civil litigations in connection with the Bernard Madoff scandal. He also is defending one of the nation’s leading providers of variable annuities in class actions filed in multiple jurisdictions. In 2006-2007, Mr. Carroll spent a considerable amount of time representing special committees, companies and individuals in connection with multifront regulatory inquiries into stock option granting practices. Mr. Carroll secured an important win for the pharmaceutical industry in the U.S. Court of Appeals for the First Circuit. In August 2008, the First Circuit Court of Appeals affirmed the dismissal with prejudice of purported securities fraud class action cases against a major Boston pharmaceutical company. In doing so, the First Circuit emphasized that drug companies have no obligation to immediately publicly disclose even very negative adverse events and that the securities laws permit — indeed, require — that issuers take the time to reasonably investigate important developments prior to public disclosure. Mr. Carroll, on behalf of a German-based global pharmaceutical and chemical company, also won denial of a preliminary injunction motion seeking to enjoin a shareholder vote on whether to approve the company’s proposed $7 billion acquisition of a Massachusetts-based life science company. Mr. Carroll’s practice also includes representing corporations and individuals in matters before the SEC, the Massachusetts Attorney General’s Office and the Massachusetts Securities Division. His current engagements include matters before each of those regulators. In particular, he has defended civil enforcement actions and regulatory inquiries relating to subprime lending and derivatives. Mr. Carroll has utilized the Private Securities Litig­ation Reform Act to obtain a rare denial of a class certification motion in a purported 10b-5 securities fraud class action. He also argued the first Rule 23 (f) class certification appeal accepted by the First Circuit. His engagements also include the defense of qui tam actions brought across the country and representations of financial institutions in “security breach” actions arising out of the criminal activity of computer hackers. Mr. Carroll regularly litigates a variety of covenant-not-to-compete and “employee raiding” cases on behalf of several Massachusetts high-technology firms. He also has experience trying cases before arbitration panels of FINRA and AAA. In addition, he has tried so-called “whistleblower” cases to an administrative law judge pursuant to Sarbanes-Oxley. In addition to courts in Massachusetts, he is admitted to practice in the U.S. Supreme Court, the U.S. Court of Appeals including the Federal, First, Second, Third, Fifth, Seventh and Ninth Circuits and numerous federal district courts across the country. Mr. Carroll’s practice is not limited to New England; he regularly litigates in courts throughout the United States.